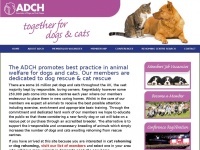 Scottish Rescue Pets - Rescue dogs scotland, cats, and other pets needing new homes in Scotland. 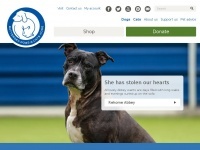 View many scottish shelters pets needing rehomed. 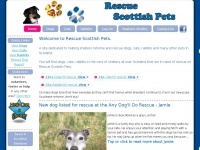 Rescue Scottish Pets is specified as the websites creator. 8. Adopt A Bo­xer Scot­land /Pets/rescue-pets-from-shel­ter/386?name=Adopt A ..
9. Bor­ders Pet Res­cue /Pets/rescue-pets-from-shel­ter/51?name=Bor­ders ..
10. 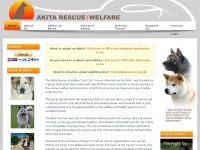 Bo­xer Welfa­re Scot­land /Pets/rescue-pets-from-shel­ter/40?name=Boxer ..
Adch.org.uk - Cat reho­ming, dog res­cue & ani­mal welfa­re best ..
Akitarescue.org.uk - Akita Res­cue & Welfa­re Trust (ARW) UK | Adop­tion & ..